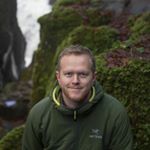 I'm a travel, nature and conservation photographer originally from Norway. I have a background in wildlife biology & conservation and worked in Scotland as an ecologist for over 5 years. For the last year, I have been location independent and travelled through Europe and Asia with my partner Alexandra who I have an Instagram travel account with called @thewildpioneers. Sustainability, conservation and wild-places are close to my heart and try to convey this through my social media channels. Demographic data for @espenhelland's audience is available for free to influence.co users.